Rated 4 out of 5 by SnappyPeas from Similar to the others I've always liked this series of games. The graphics were better than the others. The game play was simple and the levels almost identical to earlier versions - even if the enviro was different. I found that they were so similiar it felt as though I'd already played it. Finished it relatively quickly. Rated 4 out of 5 by pses from Addictive Time-Management Game! Fun time-management game with nice story-line. 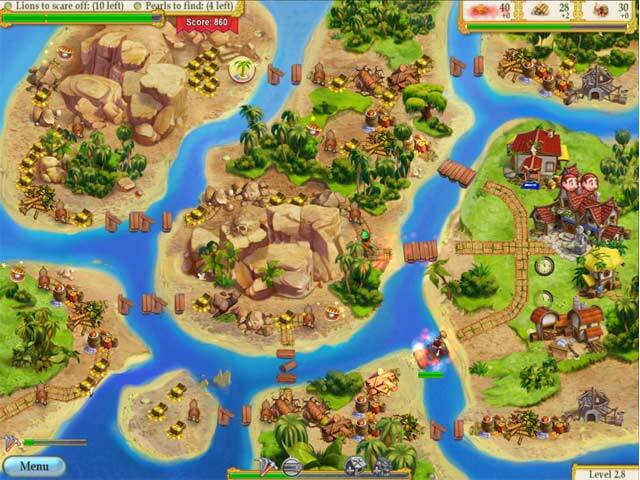 There are similar games, including earlier versions of this one, however this one is quite good and addictive. Ttere are goals and challenges to meet, strategy is involved, and you want your characters to win. Good family game. Rated 3 out of 5 by godfreygirl from Like it but it has some quirks that should be fixed on next one I like this game but there are a few things the developers should fix if they put out a "My Kingdom for the Princess IV". If they fix these things, I will definitely buy the next game. That's why I only gave it 3 stars....fix these things and it will get a higher rating on the next game. 1. Instead of just showing "the path is blocked", have a path that follows with a red line or something to SHOW us what is blocking the path. 2. Show where the beginning is !!! I've wasted time clicking and clicking just to find out WHERE to begin!! 3. If we don't finish the level "by nightfall", do NOT make us play it over.....just deduct some time bonus or something. I can't get past some levels and do NOT want to keep playing them over and over....I just don't go back to the game OR I just create another profile, and that's not really fun. I'd prefer just losing a few points. Now, if those things are fixed, I will buy the next IV game if it's put out there. Other than those things, I like the game. 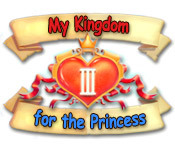 Rated 3 out of 5 by dragonlady100 from my kingdom for the princess 111 nice little game to young for me, ideal for kids. Rated 3 out of 5 by hexqueen from Better games of this style available The Kingdom for the Princess games just aren't as good as Roads of Rome or Island Tribe. Even Rescue Team is more fun. The mini-games are irritating and the constant need to rely on powerups means you're constantly distracted from gameplay looking for powerups to recharge. Rated 3 out of 5 by sparches from Very similar to My Kingdom....1 and 2 I have My Kingdom for the Princess 2, and enjoy it very much. This 3rd game was too familiar. Although there are some differences such as a volcano land, they weren't different enough. I recommend buying just one of the three games. Rated 3 out of 5 by kvscatter from Deja Vu Very disappointed, a lot of the levels were just repeats from I and II. Pretty insulting that the creators think we won't notice this! Rated 3 out of 5 by frini7 from Not very interesting game. I love this kind of games and I have bought a lot of them and this is my least favourite. Although it is a quite difficult game , it is also very boring. I didn't like the buildings and the graphics were poor. I didn't even finished the game! 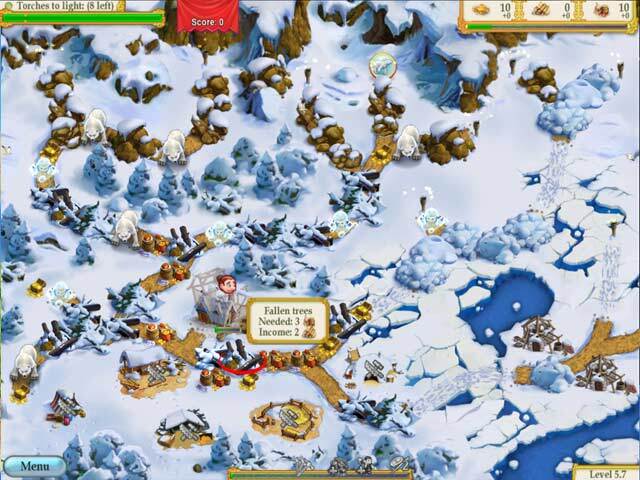 Rated 3 out of 5 by BlueStarFish from Continuing the saga This is a clear-the-obstacles type of time management game, where you must build to get resource buildings, clear roads, gather resources etc, in order to get to the other side of the map. It is timed - of course. Mini-games include whackem-levels, but not as bad as it was in MKFP2. There's also a race through the obstacle-maze sort of thing between levels. As the third in the series, it was quite -- bland. Ok, but not so engrossing that I sat up during the night just doing one more board. It was easier than the first and second games, in that you have easier access to resources, and the timer is gentler so it was not as knuckle-bitingly where-can-I-shave-off-the-seconds? re-play and re-play again to "make it before nightfall." Rated 2 out of 5 by NCwriter from So SLOOOOOW I love Roads of Rome, Kingdom Chronicles, and Royal Envoy series, so I thought I'd try out the My Kingdom for the Princess games because others compared them to the ones I love. BOY are these different. The characters are cute and the basic gameplay and objectives are the same, but there's no option for chaining actions or speeding characters up--so when there's just one little guy working, you have to sit there and watch as he chops up a tree, then wait for him to return to the house before you can click on the next thing for him to do. I didn't even make it very far into the trial period before I just got bored and exited out. I like TM games where you're doing something most of the time, not just sitting there waiting for the characters to do things. I'd suggest not buying this without trying it first. Rated 2 out of 5 by sunnytlc from Annoying Interruptions I really wanted to like this game. I was hoping it was going to be as good as the Roads to Rome series, Kingdom Chronicles, Island Tribe 3 & 4, or Legends of Atlantis. While the format of clearing roads, gathering, and building is similar, the fun factor is just missing from this game. While your playing a narrator proclaims certain actions. It was so annoying I had to turn the sound effects off. Also at intervals, you have to play a "whack a mole" game where you smash wolves with a hammer. Meanwhile, during the levels, bats have to be shooed away at times before your workers will continue with their actions. This all adds up to be very interruptive and frustrating. There is no option to be able to cue up actions. And your resources are automatically added once they begin to be produced. I like the challenge of having to gather these myself. I was very disappointed in this game. Rated 2 out of 5 by ross97386 from This was a waste of my money! Parts of the game were so hard I didn't get through it. Total waste of time and money!